Our luxury mountain homes for sale are unique in multiple ways. One of those characteristics is location. 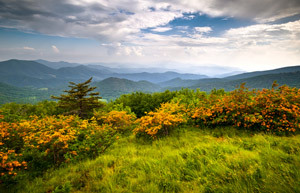 The high country region of North Carolina offers an atmosphere that few places can truly rival. The Banner Elk real estate market is home to a number of properties in quaint neighborhoods on tops of mountains, small communities in low cutting valleys, and even the luxury amenities offered in gated communities and country clubs. Developments like the Headwaters, the Lodges Eagle’s Nest, the Reserve, Elk River, Hound Ears, and Echota endeavor to give the region a luxury mountain real estate market like no other. In addition to these developments, smaller communities within the Banner Elk area allow for homebuyers to branch out from the main, larger neighborhoods. Communities like Valle Crucis, Beech Mountain, Sugar Mountain, and Seven Devils offer a variety of activities and locations for you to find your luxury homes in North Carolina. Beech Mountain and Sugar Mountain are two prominent resort communities within the high country, providing incredible views, quality skiing and snowboarding, and club amenities for their residents. Valle Crucis is a small town with rolling fields lush with trees and rivers winding through the green terrain where historic buildings like the Mast Store and Annex are in abundance, giving an old world charm and character to the area that can’t be found anywhere else. The town of Seven Devils is a gem tucked away off of the main road, close enough though to be able to get to the main town of Banner Elk in less than ten minutes as well as many of the area attractions. Its hidden location provides a certain seclusion and privacy along the mountain side that gives homeowners the feeling that they have their own secret piece of the high country as they look out over the surrounding communities. 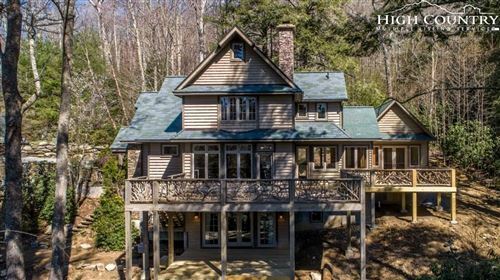 Views, seclusion, activities, and uniqueness: what else could you ask for as you search for homes for sale in Banner Elk, NC?